Clive Barker was born in Liverpool. He is the worldwide bestselling author of the Books of Blood, and numerous novels including Imajica, The Great and Secret Show, Sacrament and Galilee. In addition to his work as a novelist and short story writer he also illustrates, writes, directs and produces for the stage and screen. His films include Hellraiser, Hellbound, Nightbreed and Candyman. Clive lives in Beverly Hills, California. Read and listen to excerpts at Clive Barker’s website. 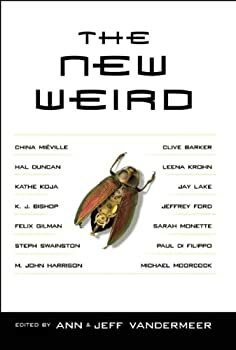 CLICK HERE FOR MORE TITLES BY CLIVE BARKER. Clive Barker’s first full-length novel is magnificent. It’s dark, intense and mostly unrelenting in its steady construction of supernatural horror. While full of gut wrenching visuals – resulting in several nights of me restlessly attempting to fall asleep — under a skin of pure horror, this novel beats with an eloquently bloody heart. 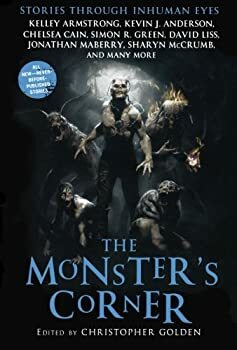 Barker’s skills shone through early in his career as The Damnation Game was a Bram Stoker Award Nominee for Best First Novel (1987), World Fantasy Award Nominee for Best Novel (1986), and British Book Award Nominee (1988). It’s summer and Harvey Swick, a ten year old with an active imagination, is bored. That’s how he gets lured into Mr. Hood’s Holiday House. It’s a wonderful place that’s fun and exciting, where Harvey gets everything his heart desires, and where he and the other kids who live there can play all day every day and eat delicious food whenever they want. As the seasons fly by, Harvey is happy at Mr. Hood’s house until things start to get a little spooky and it starts to dawn on Harvey that the place seems unnatural. When Harvey tries to leave, the Holiday House gets downright scary. 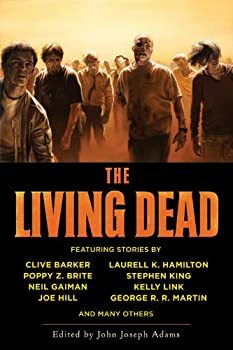 This is an unfortunately disappointing collection of microstories from Clive Barker, an author who helped define my reading experience in mid-1980’s junior and high school. The six very loosely connected stories that make up the 88 pages of Infernal Parade (2017) were originally provided as exclusive companions to collectables made by McFarlane Toys in 2004. I believe these are part of a larger macroverse of characters published in Barker’s 2014 novella, Tortured Souls: The Legend of Primordial. Book of The Art — (1989-1994) Publisher: In the little town of Palomo Grove, two great armies are amassing; forces shaped from the hearts and souls of America. In this New York Times bestseller, Barker unveils one of the most ambitious imaginative landscapes in modern fiction, creating a new vocabulary for the age-old battle between good and evil. Carrying its readers from the first stirring of consciousness to a vision of the end of the world, The Great and Secret Show is a breathtaking journey in the company of a master storyteller. Imajica — (1991) This is one volume that contains both parts: The Fifth Dominion and The Reconciliation. Publisher: Imajica is an epic beyond compare: vast in conception, obsessively detailed in execution, and apocalyptic in its resolution. 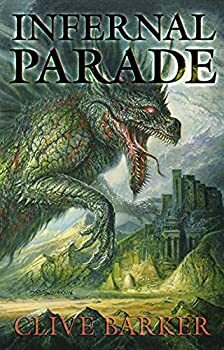 At its heart lies the sensualist and master art forger, Gentle, whose life unravels when he encounters Judith Odell, whose power to influence the destinies of men is vaster than she knows, and Pie ‘oh’ pah, an alien assassin who comes from a hidden dimension. That dimension is one of five in the great system called Imajica. They are worlds that are utterly unlike our own, but are ruled, peopled, and haunted by species whose lives are intricately connected with ours. As Gentle, Judith, and Pie ‘oh’ pah travel the Imajica, they uncover a trail of crimes and intimate betrayals, leading them to a revelation so startling that it changes reality forever. 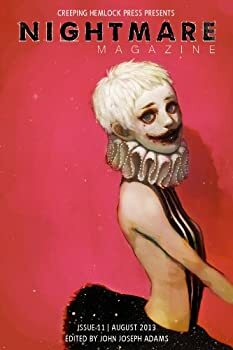 Weaveworld — (1987) Publisher: Clive Barker has made his mark on modern fiction by exposing all that is surreal and magical in the ordinary world — and exploring the profound and overwhelming terror that results. 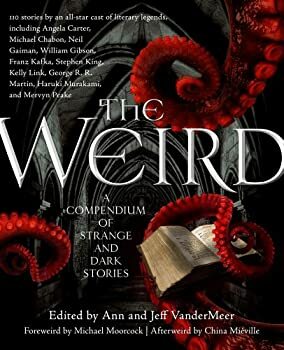 With its volatile mix of the fantastical and the contemporary, the everyday and the otherworldly, Weaveworld is an epic work of dark fantasy and horror — a tour de force from one of today’s most forceful and imaginative artists. Cabal — (1988) Publisher: For more than two decades, Clive Barker has twisted the worlds of horrific and surrealistic fiction into a terrifying, transcendent genre all his own. With skillful prose, he enthralls even as he horrifies; with uncanny insight, he disturbs as profoundly as he reveals. Evoking revulsion and admiration, anticipation and dread, Barker’s works explore the darkest contradictions of the human condition: our fear of life and our dreams of death. Sacrament — (1995) Publisher: Living and dying, we feed the fire. Will Rabjohns, perhaps the most famous wildlife photographer in the world, has made his reputation chronicling the fates of endangered species. But after a terrible accident, Will is left in a coma. And in its depths, he revisits the wildernesses of his youth and relives his life with a mysterious couple who have influenced his life as an artist and a man. 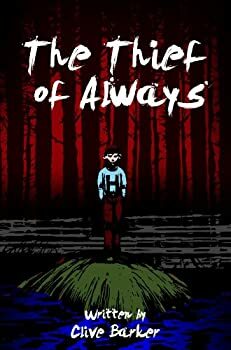 When Will awakens, he sets out on a journey of self-discovery — one where he will penetrate the ultimate mystery and finally unlock the secret of his destiny. Soaring, provocative and passionate, Sacrament is a masterwork from the pen of one of today’s moist acclaimed authors. Cold Heart Canyon — (2001) Publisher: Film’s most popular action hero needs a place to heal after surgery that has gone terribly wrong. His fiercely loyal agent finds him just such a place in a luxurious, forgotten mansion high in the Hollywood Hills. But the original owner of the mansion was a beautiful woman devoted to pleasure at any cost, and the terrible legacy of her deed has not yet died. There are ghosts and monsters haunting Coldheart Canyon, where nothing is forbidden. Books of Blood — (1988) Publisher: The stories written on the Book of Blood are a map of the dark highway that leads out of life towards unknown destinations. Few will have to take it; most will go peacefully along lamplit streets, ushered out of living with prayers and caresses. But for a few, the horrors will come to fetch them. With the 1984 publication of Books of Blood, Clive Barker became an overnight literary sensation. He was hailed by Stephen King as “the future of horror,” and won both the British and World Fantasy Awards. Now, with his numerous bestsellers, graphic novels, and hit movies like the Hellraiser films, Clive Barker has become an industry unto himself. But it all started here, with this tour de force collection that rivals the dark masterpieces of Edgar Allan Poe. Read him. And rediscover the true meaning of fear. 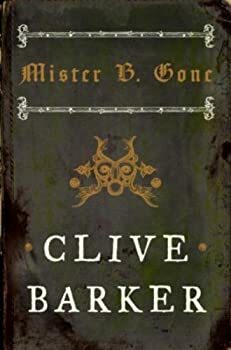 CLICK HERE FOR MORE BOOKS BY CLIVE BARKER. So we come to our fourth week of extolling the virtues about some of our favourite authors. Today we welcome Sharon Ring, from Dark Fiction Review. Sharon is on Twitter as @DFReview and can also be found on Facebook. She would like to talk to you about Clive Barker. Will this be five hundred words of preaching to the converted? 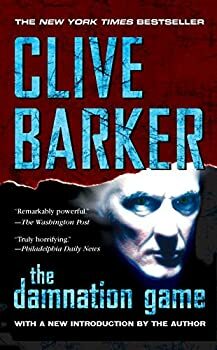 Surely everyone who reads genre fiction has read at least one Clive Barker book? I think, for anyone new to genre fiction, a stroll through some of Barker’s work should be more or less compulsory.